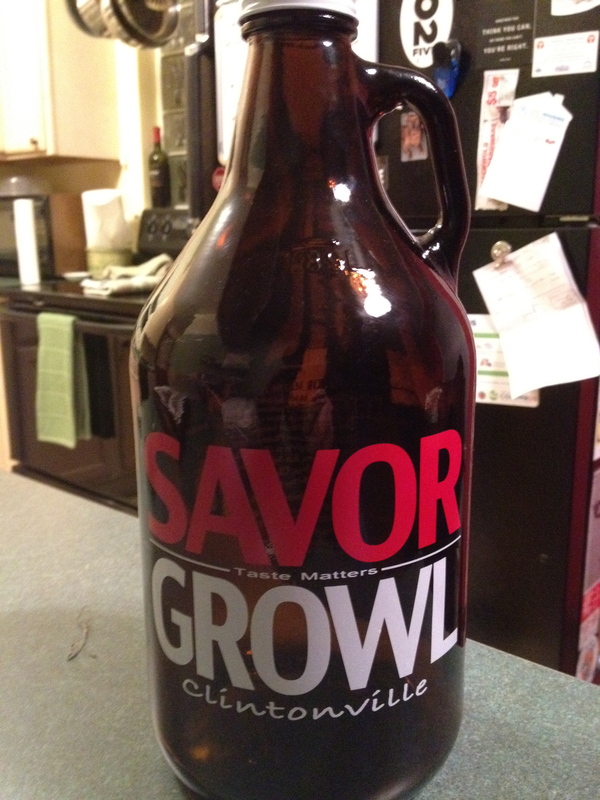 I mentioned a few months ago, that Savor would soon have growler sales of select drafts. Well, they are ahead of schedule on this project. As a PSA: Public Service Announcement Pour Some Alcohol Post, I am letting you know the growlers are in and ready to fill. This entry was posted on February 19, 2013 at 8:19 PM	and is filed under beer, Clintonville. Tagged: Savor. You can follow any responses to this entry through the RSS 2.0 feed. You can leave a response, or trackback from your own site.